Isn’t it time to get your carpet cleaned? Magic Carpet Cleaning won’t let you down. We are in the business for many years now and we know how to provide quality service. Our staff is well-trained and experienced to use the most advanced cleaning tools on the market. Thus we provide 100% satisfaction guarantee or re-clean. 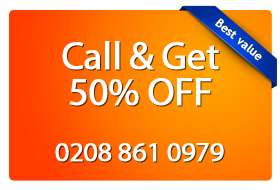 Please call us on 0208 861 0979 for more information. Our certified cleaners have no fear from any cleaning job. Grange Park (N21) carpet cleaners have years of experience that enable them to tackle any stain or dirt in your carpet. Grange Park dry carpet cleaning uses an advanced cleaning powder formula that it hovered up to get down into your carpet fibres and cleans them. Grange Park (N21) steam carpet cleaning uses the power of steam to pick up deep pockets of dirt and disinfect your carpet. Grange Park (N21) upholstery cleaning, rug cleaning and stains removal will be there for your small area rug stains and all dirty upholstery needs. You can find us on 0208 861 0979. We keep our customer support lines open 365 days a year for your convenience. You can get a free quote, by giving us an information about your carpets dimensions. Or you can use our on-line contact form and one of our assistants will get in touch with you in short time.